Hello everyone, long time no speak! Things have been crazy busy over here at team Marta Canga (yes, we’re becoming a bit of a family now, how exciting!) having brought on board an SEO Manager, a couple of Photographers, a Tax Accountant, a Videographer, and now a Manager…. Eeek! 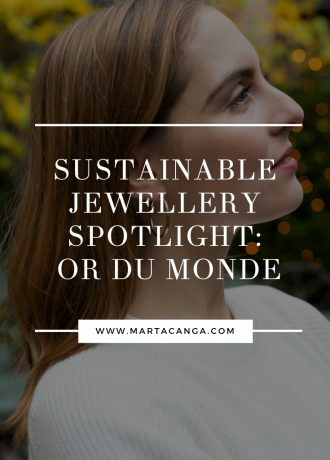 But it doesn’t change the fact that things are growing as quickly as it’s ever been and I hope to start working part-time to meet the growing demand for this wonderful market that is sustainable and ethical fashion. 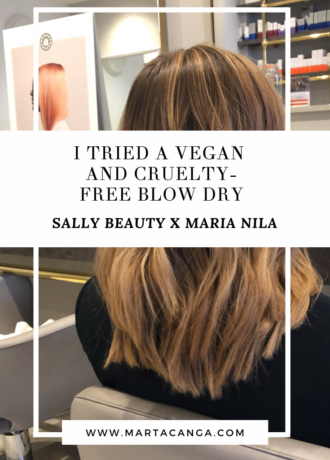 If you have been following me over on Instagram (@marta_canga) or on YouTube (Marta Canga), you will have noticed the amount of times I’ve been tagging new ethical and sustainable fashion brands with my travels around the world in Tokyo, São Paulo, and Paris as well as my ‘Daily Walking Vegan Outfits’ on my Instastories! So when I got an email from the lovely Susie from Zerrin, I had to say yes and find out what their website was about. ZERRIN curates and celebrates the stories behind thoughtfully-made fashion and clean beauty brands all the way from Singapore, which is where it is based. 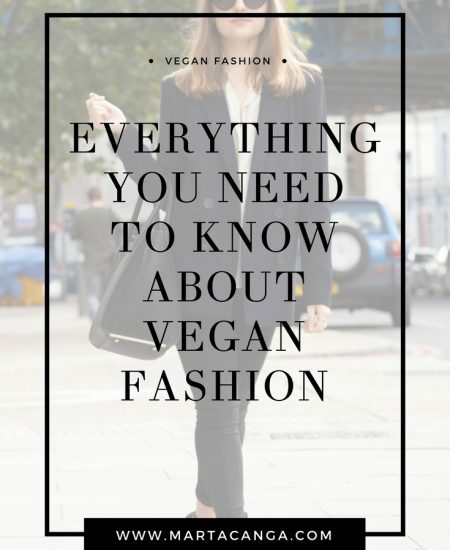 Some of you may have read some of my previous articles such as 17 Affordable and Sustainable Fashion Brands, The Step-By-Step Guide To A Vegan Closet and also 5 Reasons Why You Should Invest In Organic Cotton, sustainable fashion is something I have really started to care about and have been talking about endlessly on my social media pages. 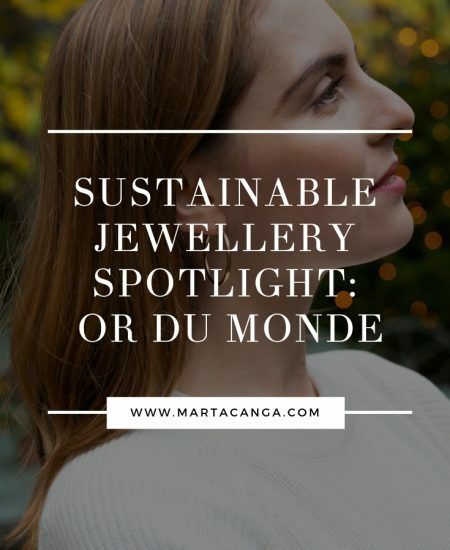 Early this year there was an article on The Guardian called ‘Shop less, mend more: making more sustainable fashion choices‘, where it highlighted the impact of the sustainable fashion industry in our beautiful planet. Fashion is the second most polluting industry in the world, topped only by oil. 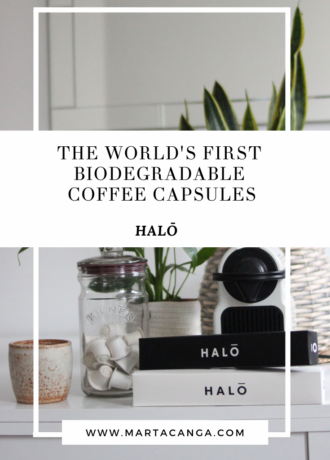 Meaning that in order to preserve Mother Earth and have a place for our future generations to stay, it is imperative we make more informed decisions and support companies that are trying to make a change in what seems to be this unbreakable and wasteful system. This is why Susie started Zerrin, to tackle the issue of fashion waste in her residence country Singapore, where it shoes that a quarter of the Singaporian population have disposed of more than 10 items in clothing in only one year. This is a world-wide problem that is not just seen over there, but also in the other developed countries where you are probably reading this article from. The first thing you can do is choosing brands that consider the planet and their workers. 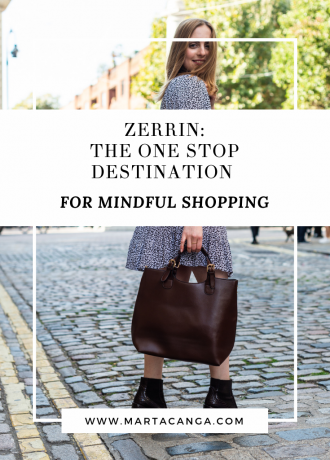 Zerrin prides itself in having discovered well-made brands who produce responsibly, and is now sharing them with the world for a more conscious and ethically inspired shopping experience. 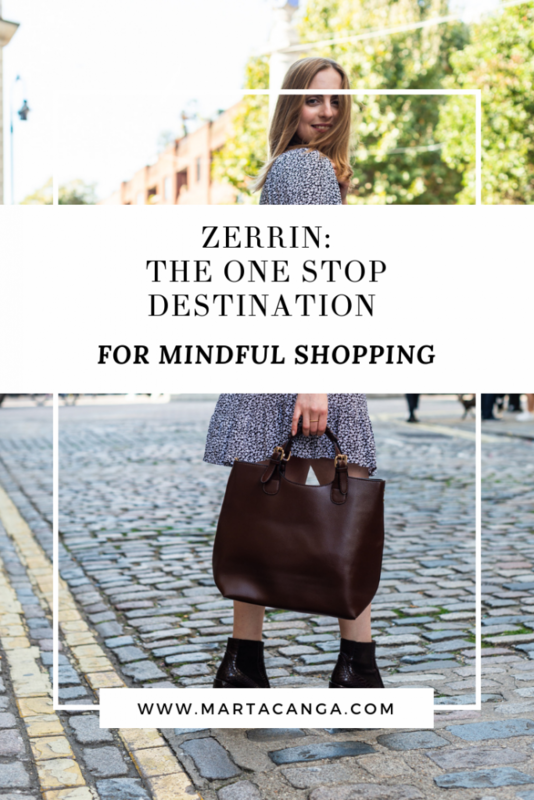 Zerrin showcases brands and designers who create products that are socially or environmentally conscious – from clothing made from eco-friendly fabrics like organic cotton, tencel and bamboo, to hand made jewellery or organic skincare that gives back to communities. Also, I think it’s pretty cool to stand out, rather than fit in. Who else here agrees? 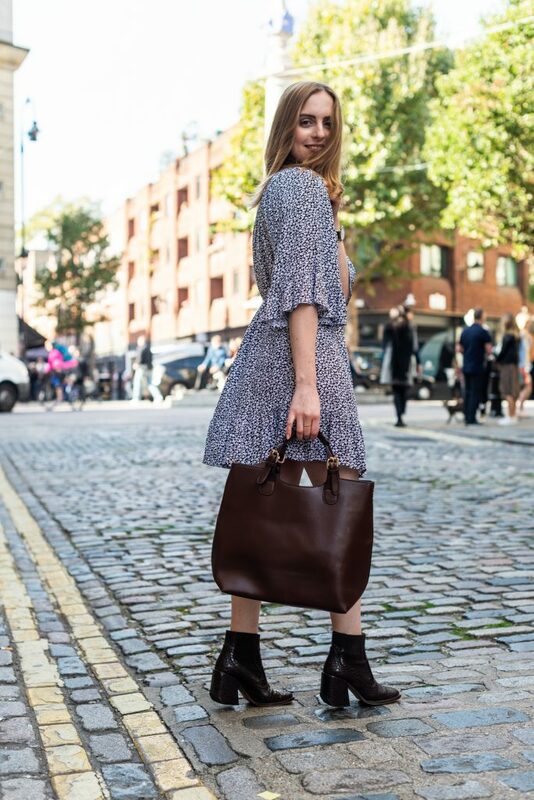 Made from 100% rayon, this is a super easy off the shoulder dress that I’ve been wearing throughout the summer and the warmer weeks of September and October here in London, UK. 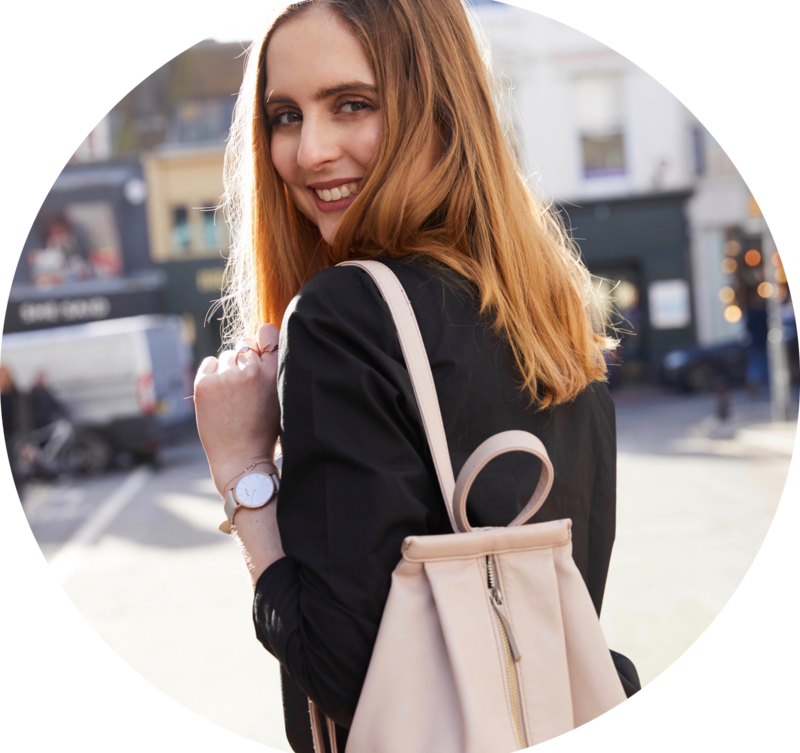 It has a lovely monochrome, ditsy and floral print, and I have really been enjoying wearing it with beige and brown colours, for a super feminine look. It has a loose fitting with a tie to accentuate the waistline. As per the brand, ethical fashion label Aanya’s feminine and bohemian styles are perfect for modern-day nomads and wanderers. 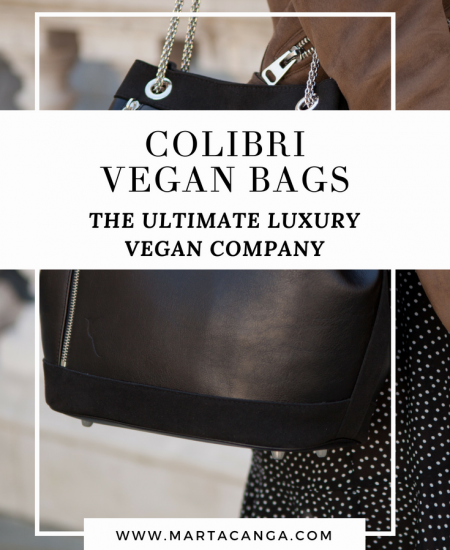 All of her collections are ethically sourced and created with love and care in India. I also had the pleasure to try the Biconi Radiant Skin Facial Celanser Bar. It contains Biconi Noni Enzyme (a home-made combination of enzymes from fresh noni fruits grown organically in Malaysia, which is packed with antioxidants to fight free radicals and tyrosinase inhibitors for a brighter, even skin tone), camellia seed oil, rice bran oil and peony root extract to gently cleanse the skin without stripping away moisture. These ingredients are great for sensitive, inflamed and irritated skin like mine. I found this cleanser bar works best when using it on a makeup-less face, then by lathering it in your hands first and then applying the mousse on your face. I would then follow up with my usual ritual of face toner and serum/moisturiser depending on my skin colour and dryness. I think this face cleanser is a great plastic-free and minimal packaging option for those of you who do want to purchase products with a minimal environmental impact! They are also toxic-free (which is very important to me) so overall I enjoyed this product, but I still need to get used to reaching to a bar rather than my cream cleanser tube I suppose! 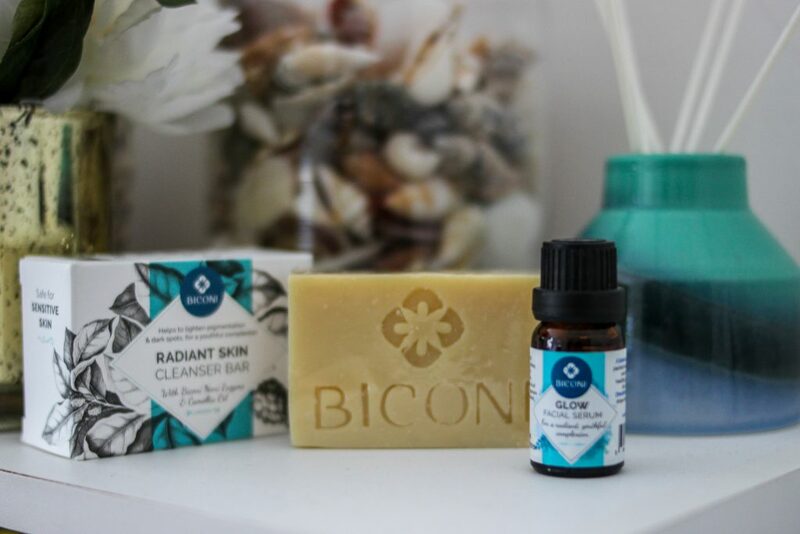 I also tried the Biconi Glow Facial Serum. By mixing the drops to my night moisturiser, I would then mix the emulsion on the top of my hand to then applying to my skin before going to sleep. I’m not a huge fan of putting serum in the morning but I definitely enjoy a couple of drops of potent plant-based serums before my sleep ritual every day! To be honest I didn’t notice immediate results (perhaps because I used it during summer?) but I did enjoy the scent of it and I know will be using it during winter months for that extra boost of moisture that our skin needs! It is also quite light – surprisingly as I expected it to be heavy due to the coconut and macadamia oils. I would highly recommend this to someone with flaky skin or someone with redness/sensitive skin as it has a very soothing element to it and is again free from toxic ingredients. 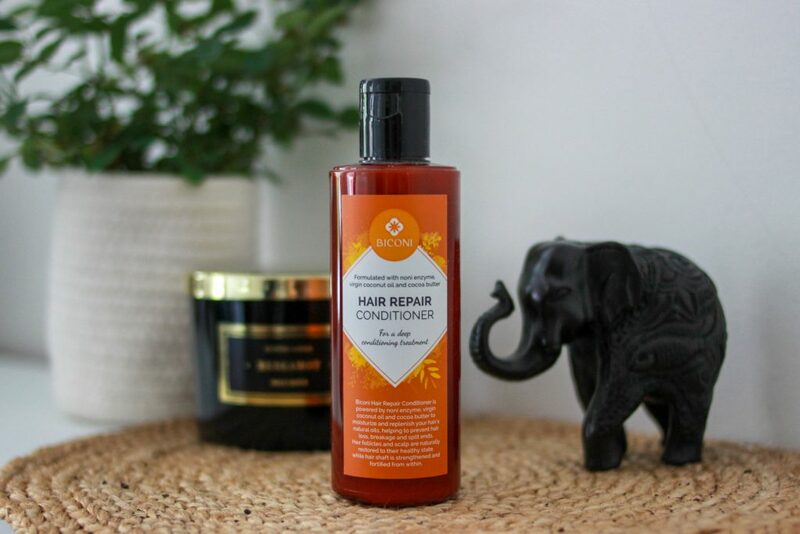 By far my favourite of all of these three, this Conditioner left my hair feeling super soft, light and moisturised, it was amazing! 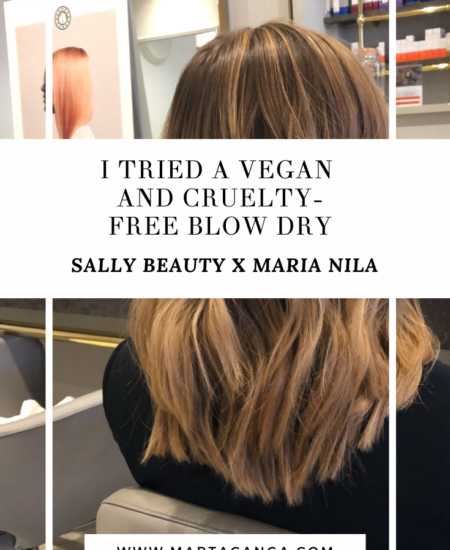 Made with virgin coconut oil, cocoa butter and Biconi’s noni enzyme, this combination of ingredients is rich in Vitamin E, which is going to help nourish and soften dry, damaged hair. This blend is also high in powerful anti-oxidants, which are going to help fight environmental damage. What I didn’t know is that virgin coconut oil is one of the only oil that can actually penetrate into the hair shaft, moisturising the hair from within. I think this what I noticed the most, the fact that it genuinely felt soft and light. It didn’t leave any residue and it had a lovely smell. I would totally purchase this! 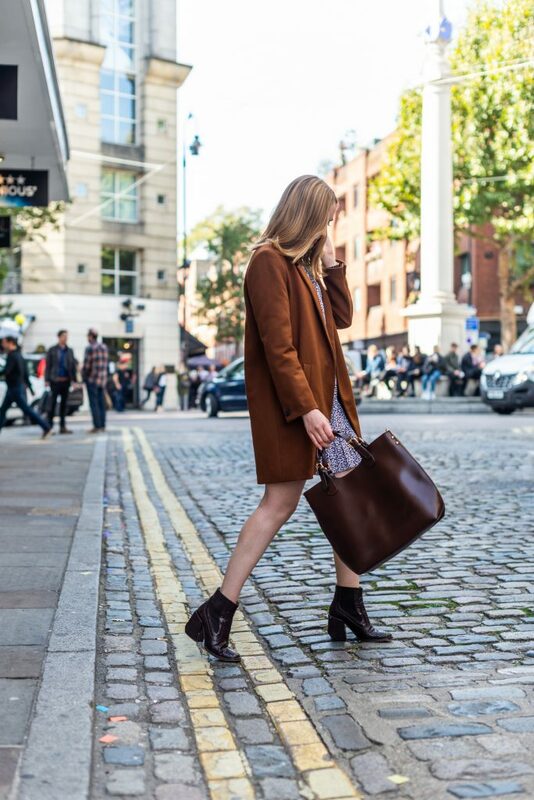 I believe that fashion is even more beautiful when created ethically and cruelty-free, so I’d like to know about you – where do you like to shop online? Which one are you most keen to try?